I'm not a particularly athletic individual, and that undoubtedly has to do with the fact that I spent an inordinate amount of time as a youngster either reading or watching television. One common element of the latter was that television stations programmed huge blocks of children's shows, so there was no reason to change the channel in the afternoon when you came home from school or on the weekends. That would mean that watching these television blocks became routine, so that you would be able to memorize certain aspects of the programs, like the theme songs and, in my case, the production logos at the end credits. The history behind production logos should be written if it hasn't already—an Amazon search doesn't turn up much. At the end of each show, a sequence between five and ten seconds would take place where an animated graphic would show up on the screen, typically accompanied by a brief, melodic, synthesizer-based piece of music. 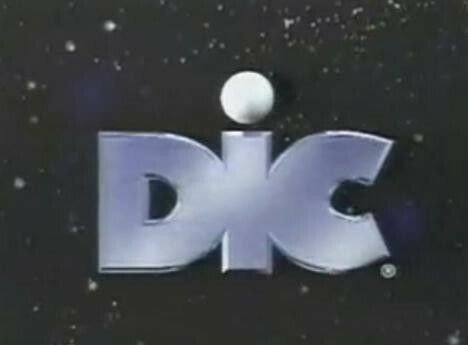 Sometime in the 80s, the closing production logos ventured further into 3-D animation, the creepiest example perhaps being DIC Entertainment; or Diffusion, Information et Communication, a French production company. In that spot, the camera is inside of a little boy's bedroom, squarely framing the scene of a boy asleep in his bed; the camera zooms out the window, where a giant flashing "DIC" logo looms in the sky. You know, just another giant metallic production logo waiting outside of a sleeping little boy's bedroom—nothing unusual about that. Check out two YouTube videos after the jump, featuring some of my favorite old TV production logo end credits.